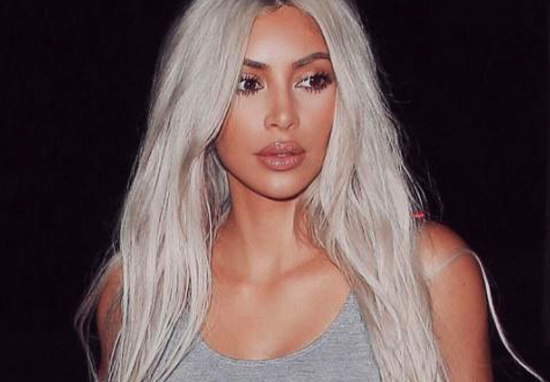 Kim Kardashian West has been accused of racism after the launch of her latest line of makeup. Yet some buyers are slating the range saying it’s ‘not inclusive enough’. To end the conversation because you are taking about me (I am the dark black model). I can tell you they did not chose me only to pretend; I had the make up on and it fits perfectly with my skin colour. Kim Kardashian recruited her mum and manager, Kris Jenner, as well as her grandmother, Mary Jo, for the campaign. The three of the usually-dark-haired beauties went blonde for the occasion – I think they looked great. MARCH 23 CONCEALER KITS launching on KKWBEAUTY.COM thanks to my mom & grandma for being the best models and going blonde for this shoot! I’m so proud that my concealers have anti aging properties and we used models ranging from their 20’s to 80’s! Go to @kkwbeauty to see all of our swatches and product shots! This isn’t the first time Kim’s come under fire for being ‘racist’. She has sparked a racism row after dressing up as a famous black woman for Halloween. However, some commenters deemed Kardashian’s costume inappropriate.